Where does Environmental Science fit in the Senegalese educational system? ​Senegal is a beautiful country located in the most western point of Africa. It is a transition zone between the Sahara desert and the Sudanese savannahs and so there are three major zones, a warm desert across the north, a warm semi-arid zone in the mid-region, and a tropical savanna zone across the south. The entire country undergoes a dry season from December to April. Drought has plagued the country for almost a decade while the lowest areas in the coastal regions and major rivers succumb to periodic flooding. The primary natural resources of Senegal include mining, fishing, and agriculture. All of these require management to ensure sustainability and environmental conservation. The mining of phosphate, primarily for fertilizer, can be extremely detrimental to habitat and can lead to contamination of surface and ground water. Commercial fishing has led to overexploitation of local fisheries which not only impacts the economy but subsistence fisherman as well. The geography of the land provides less than 20% arable land for farming and that land is prone to periodic flooding and the current drought. Desertification due to irrigation, poor soil quality, and climate change are already impacting the agricultural sector. 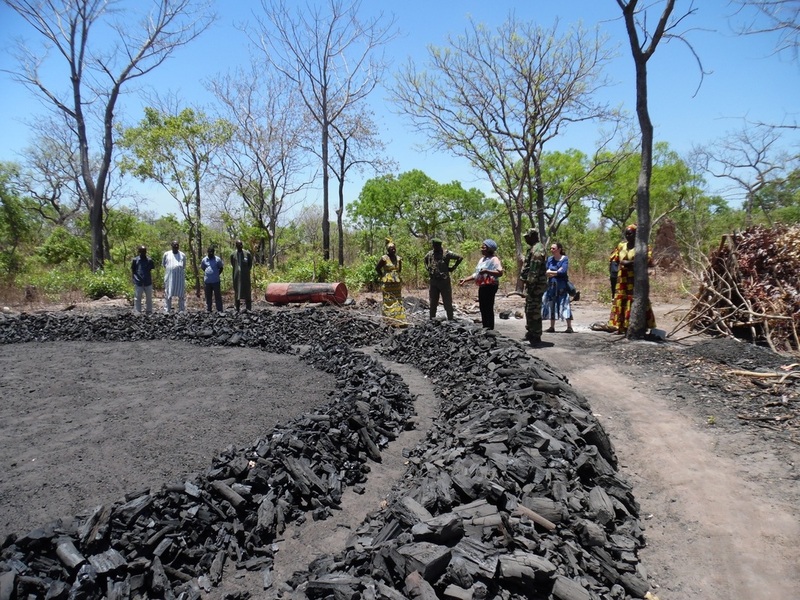 A lack of fossil fuel resources (oil, coal, natural gas) leads to the use of charcoal by most Senegalese to meet their energy needs. This puts the forests under pressure and deforestation is a real concern. The concurrent loss of habitat and poaching is leading to significant declines in Senegal’s biodiversity. The government has created and/or supports a number of organizations designed to address some of these environmental issues. Politically, Senegal has signed on to most treaties that address these types of issues including CITES, The Montreal Protocol, Convention on Biological Diversity, and so on. I had the opportunity to spend time with the Senegalese Forestry Service and an Agricultural Research Institute while I was in the Kolda region. The Forestry Service is doing an impressive job of managing the southern forests for charcoal production. They have plotted out forest areas, each of which can only be logged every seven years. The Forestry Service educates the women in the villages how to log the trees so that they grow back within that rotation time creating a renewable resource. 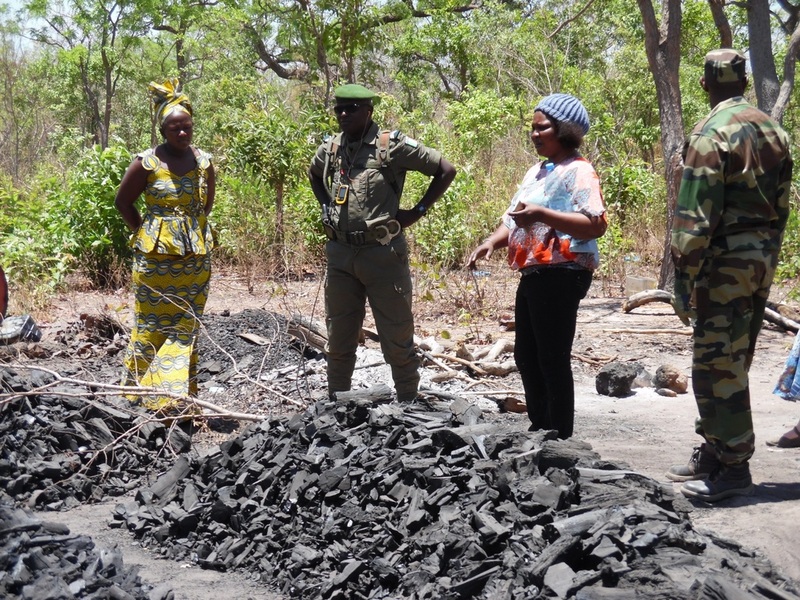 They also have been training villagers on how to produce the highest quality charcoal in order to reduce the total number of trees that need to be logged to meet energy demand. ​The agricultural researchers on working on developing strains of cattle resistant to African Sleeping Sickness and on developing hardy crops that withstand poor soil quality and drought. With so much of the population reliant on subsistence agriculture, the development of livestock and crops that can tolerate climate change will be necessary. To protect the environment and ensure sustainability of resources requires an educated citizenry that understands the problems and the solutions. Senegal has done an incredible job in improving access to education for children but still faces many challenges. Challenges include teacher quality, adequate facilities, appropriate funding, and the impact of social issues dealing with gender equality, religious school, and cultural norms. Environmental Science is not currently addressed as an independent discipline within the educational system. Most advanced Biology courses include a unit on Ecology and or Environmental Science, but most Senegalese would not necessarily reach this level in their education. Given the seriousness of the environmental issues, climate change, and natural resource management that Senegal faces (like many countries) the education of their children will be an essential component of addressing these challenges. It is time that educational systems around the world reconsider the value and importance of environmental science as a discipline. Environmental science should not be an “add-on” or a “unit” in another course, we need to develop an entire curriculum that runs across grade bands to start developing those global citizens who can work together to identify and solve problems that affect us all. This video from UNICEF really hits home on the value and importance of education and how it can impact the world. If I could add just a few words it would be "environmental science" because the very children and countries referenced in this video will be those most negatively impacted by environmental issues associated with climate change. Globalizing how and what we teach today could make the world a better place tomorrow! All ideas and opinions expressed here are solely those of the author and do not necessarily represent Teachers for Global Classrooms, IREX or the U.S. Department of State.